Dr. Ashish Jain's key areas of focus at Kokilaben Dhirubhai Ambani Hospital are Complex trauma fixation using AO principles and General Orthopaedics. He has operated on more than 1400 trauma cases so far at Kokilaben Hospital. 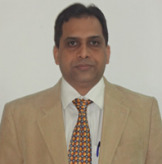 Dr. Jain completed his training in Orthopaedics at the prestigious KEM Hospital & G S Medical College. 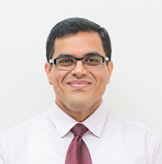 He has worked in some of the best institutes in the country as a full time orthopaedic surgeon. 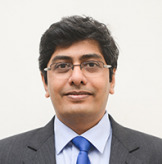 Dr Ashish Jain is a General Orthopaedic and Trauma Surgeon at our Hospital. 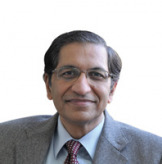 Trained in Orthopaedic Trauma at the KEM Hospital and Seth GS Medical College, he was immediately appointed as Associate Consultant Orthopaedics at the Bombay Hospital , Mumbai where he sharpened his surgical skills for 7 years. 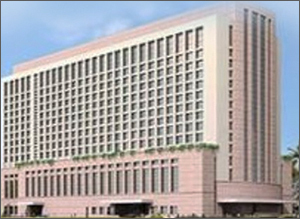 He was then sent to the newly inaugurated Bombay Hospital, Indore, to set up the Orthopaedic and Trauma facility. 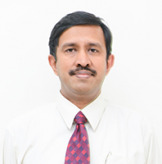 He was appointed as Full Time Consultant at our Hospital in Nov 2008. 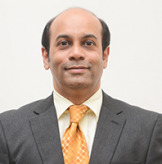 He has extensively trained in the AO (Association for Osteosynthesis, Switzerland) techniques of Fracture Fixation. Having already done his Basic and Advanced AO Courses he was selected for the prestigious AO Masters Course 2012 held at Davos, Switzerland. This was a specialized training program for Complex Lower Limb Fractures including workshops on the latest AO Swiss Implants. 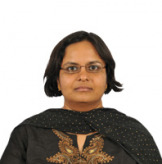 Dr Jain is now a distinguished Faculty Member (teacher) for AO Basic and Advanced Courses (for young trauma surgeons). To his credit Dr Jain was selected twice in a row as 'Mumbai's Top Doc" for General Orthopaedics and Trauma by his contemporaries in a survey published in India Today magazine. Geriatric Trauma ie Fractures of Old Age. These are patients with Osteoporosis and are at high risk for any surgical procedure. As the general population ages, the incidence and occurrence of Hip Fractures rises. More than being just a simple fracture these are life threatening events in the elderly. These fractures bring with them all the potential medical complications arising from confinement to bed. Hence all Hip Fractures are treated with some type of surgery preferably within 24 hours of admission to the hospital. At Kokilaben Hospital we ensure secure fixation of these fractures using advanced techniques and implants, thereby allowing the patient to get out of bed and stand within two days of the surgery. This has reduced the incidence of fracture related complications like DVT (deep vein thrombosis), pneumonia, bedsores, and mental confusion. In our operated cases the incidence of complications is less than 5%. Polytrauma (Multiple Fractures) where he works hand-in-hand with Neurosurgeons and Plastic Surgeons to treat these critical patients. Complicated Redo Fracture Surgeries. 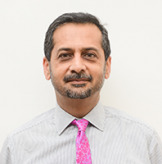 As a result of his extensive training and experience, Dr Jain is now treating fracture cases operated on elsewhere where complications have arisen like Non-Union, Implant Breakage and Infections. Infection in Orthopaedic Surgery is a disaster for both the patient and the Surgeon. Implant surgery in developing countries is associated with a higher infection rate. We at the Kokilaben Hospital Trauma Unit have an infection rate of 1% (the international standard). This is because of our modern Operation Theatre Facilities and strong Infection Control Protocols. 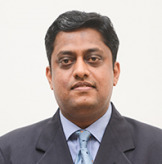 Dr Ashish Jain is the General Orthopaedic and Trauma Surgeon at our hospital. 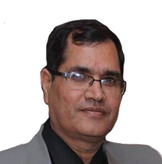 Trained in Orthopaedic trauma at the KEM Hospital and Seth GS Medical College, he was immediately appointed as Associate Consultant Orthopaedices at the Bombay Hospital , Mumbai where he sharpened his surgical and private practice skills for 7 years. He was then sent to the newly inaugurated Bombay Hospital, Indore, to set up the Orthopaedic and Trauma facility. 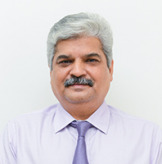 On his return to Mumbai he ran a successful private practice in South Mumbai till he was appointed as Full Time Consultant at our hospital in Nov 2008. 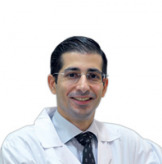 He has extensively trained in the AO (Association for Osteosynthesis, Switzerland) techniques of Fracture Fixation. Having already done his Basic and Advanced AO Courses he was selected for the prestigious AO Masters' Course 2012 held at Davos, Switzerland. ; the Mecca of fracture techniques and Research Globally. This was a specialized training program for Complex Lower limb fractures including workshops on the latest AO Swiss Implants. 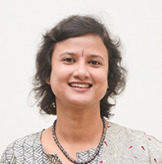 Dr Jain is a distinguished Faculty member (teacher) for AO Basic and Advanced Courses (for young trauma surgeons) now and has trained Operating Room Personnel (sisters and technicians) in the principles and techniques of fracture surgery. Geriatric Trauma viz. fractures of Old Age. These are patients with Osteoporosis and High risk factors for any surgical procedure. Polytrauma (Multiple fractures in patients) where he works hand-in-hand with Neuro and Plastic Surgeons to treat this unstable and critical cases back to normalcy. Complicated (re-do) fracture surgeries. 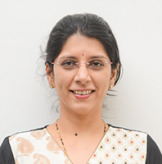 As a result of his extensive training and experience, Dr Jain is now treating fracture cases operated elsewhere which have got complicated like Non-union, Implant breakage and Infections. Dr Jain is a great Fitness enthusiast himself and brings his positivity along with his surgical skill & competence to the delivery of care to his patients. He is thorough and meticulous and compassionate in his approach; with a penchant for perfection. His confident demeanor motivates his patients onto a path of speedy recovery. He is well liked and respected by his peers as well as the community he has diligently and selflessly served over the past four years.